Chances are you already donate generously to the Jewish charitable organizations of your choice. But have you considered including those organizations in your will, so you can continue to make a difference for generations to come? Ready to begin? Download this Commitment form and Contact your organization of choice today! The answer is different for everyone. Some people make a will after the birth of a child; others may wait until they receive an inheritance. Whether you already have a will or are just getting started, it’s always right to think of how you want to be remembered. Get started today! Will leaving a legacy gift impact my taxes? While the impact of your legacy gift will be most clearly felt by the community once you are gone, you may experience tax advantages in your lifetime, and your estate and heirs may benefit from additional tax savings. We encourage you to begin your legacy conversation by contacting the appropriate CJL community partner to share with them your interests and learn about their specific needs. 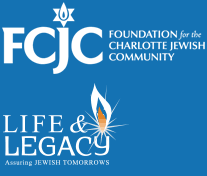 The Foundation for the Charlotte Jewish Community's (FCJC) is available to assist you with the technical aspects of legacy giving. You may also want to contact your financial advisors and/or estate planning attorney at this time. Do I have to make a new will?